The guitar builded and belong to legendary Ritchie Blackmore. 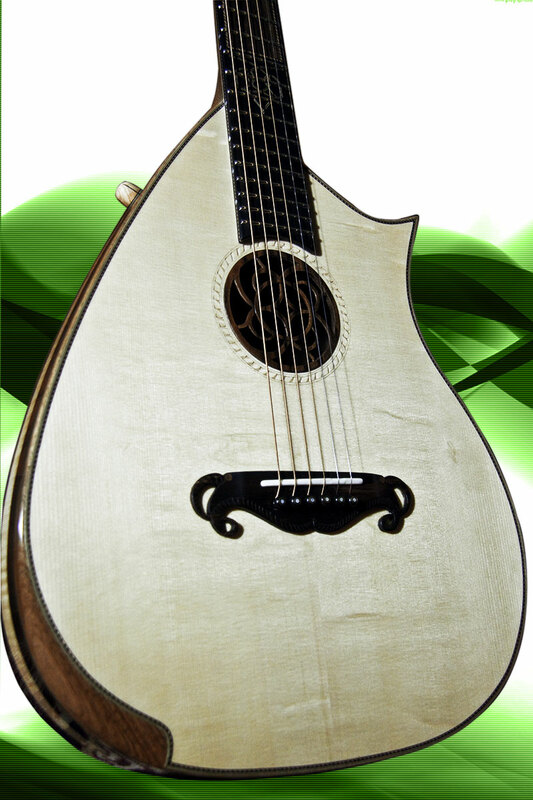 Shape: An acoustic guitar in semi lute shape. Body: Body width is 35 cm, depth is 2,75 ". 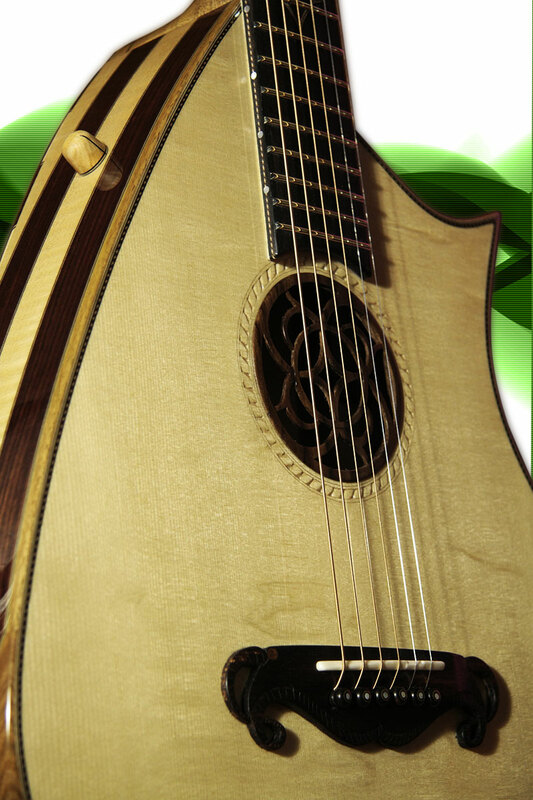 Soundboard: Specially developed bracing for best result in non symmetrical body. 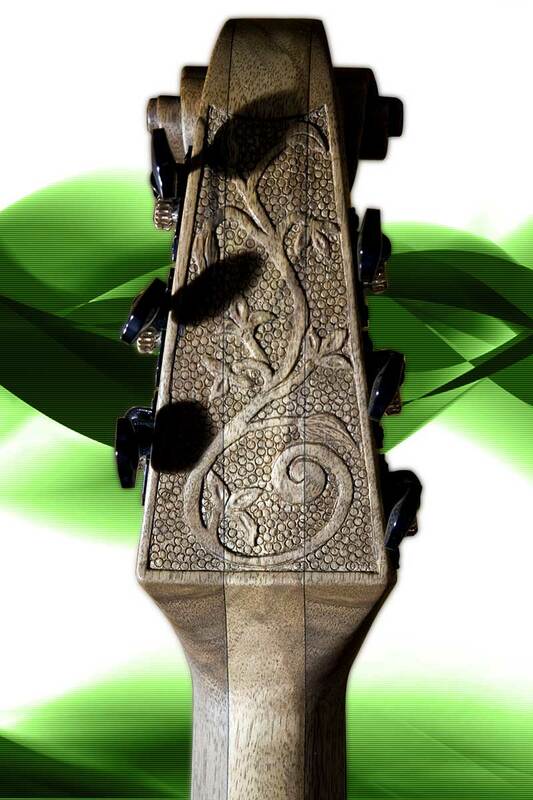 Lute Rosete and inserting fancy rossete is hand made from rosewood. 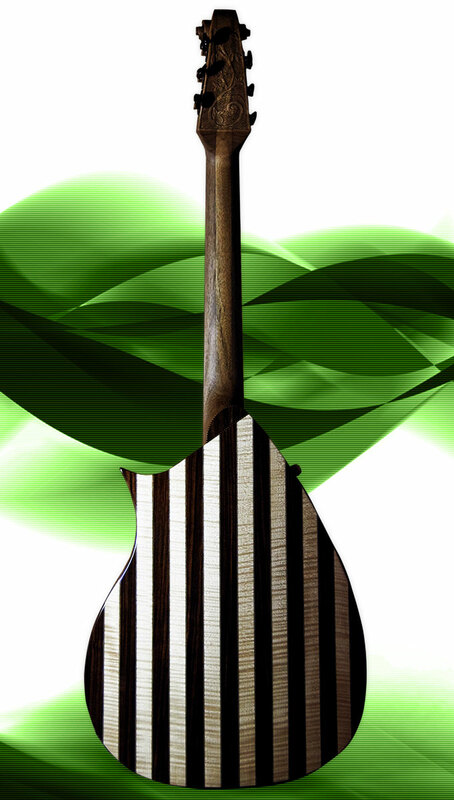 Back: Renaissance guitar style back with 18 bowed rosewood and maple strips and ebony/maple veneer fills. Neck: 5 piece of walnut and rosewood veneer. A scroll head in Viola Di Gamba shape. 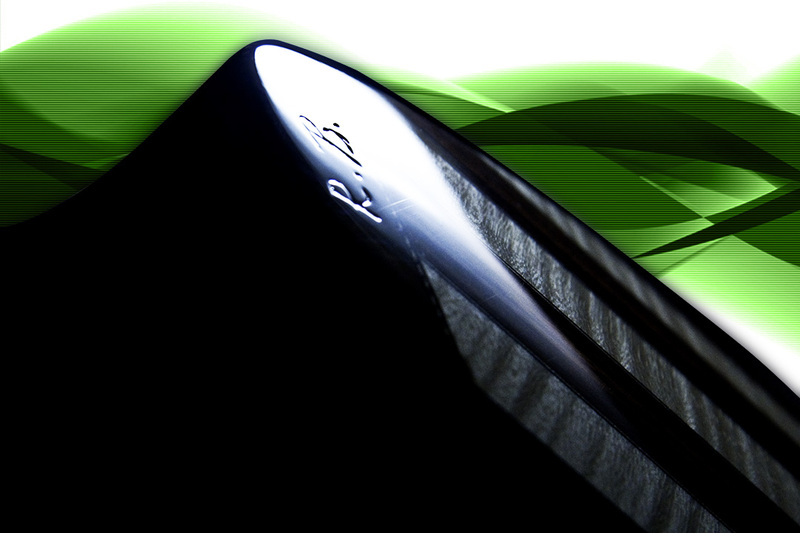 Fingerboard is ebony with ebony binding. Neck meets the body at the 14th. fret. Neck profile is "soft C". A double way truss rod nut is under 22th fret. 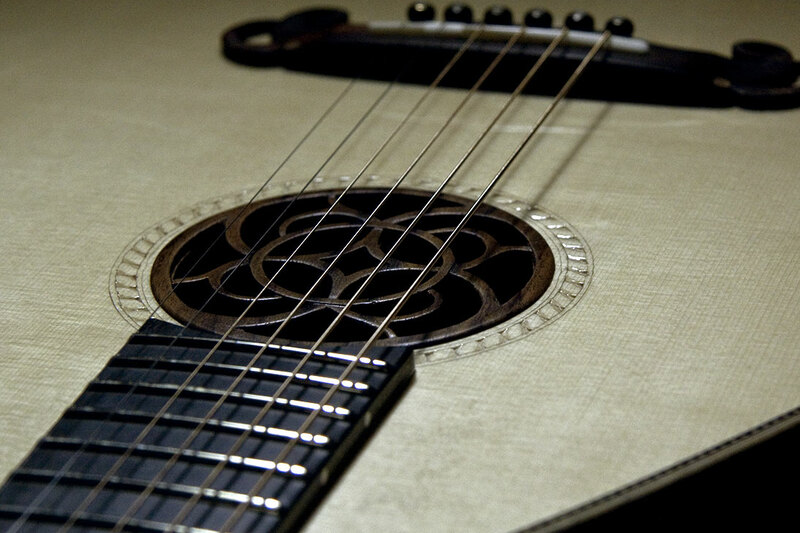 Frets are "jumbo" size. 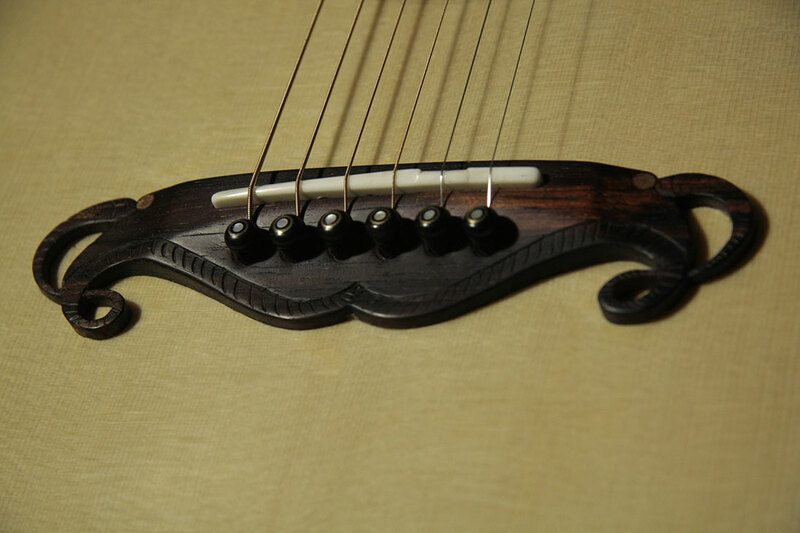 Other: Binding is combination of walnut, maple and ebony. 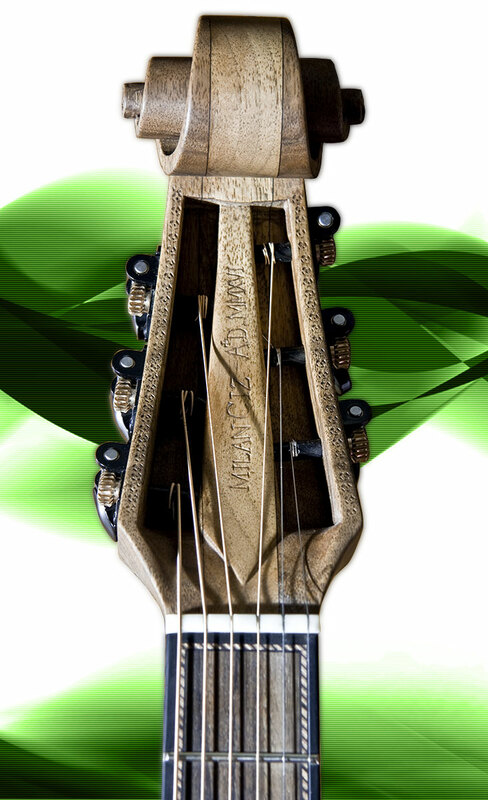 A bridge is madagascar rosewood with bone saddle and rosewood pins. 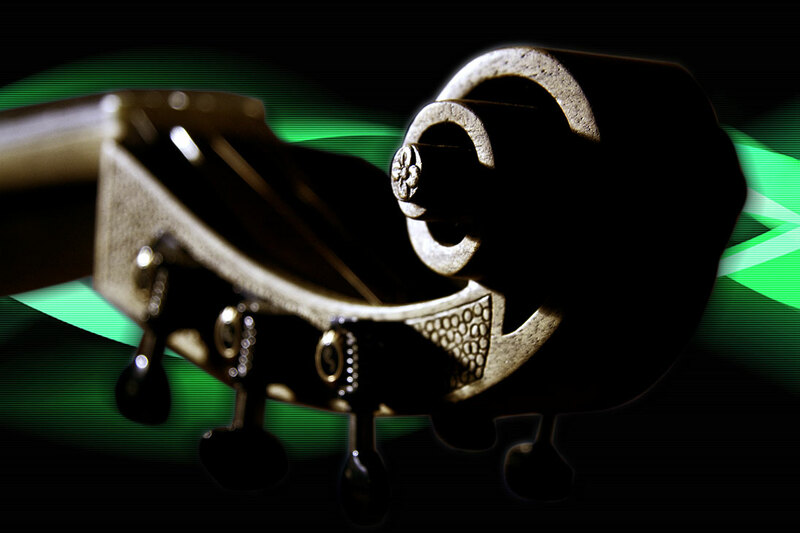 All inlays and fancies are mother of pearl, abalone and ebony. 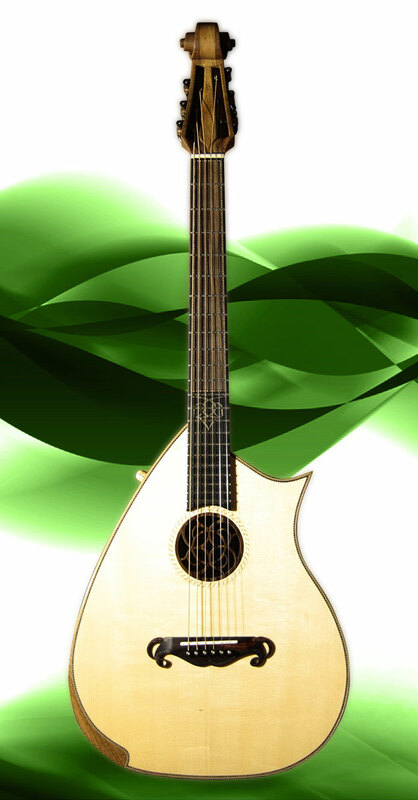 Sound: Rich sounding a lute like guitar with lots of treble sensitivity and tight reverb bass response. No options for this model.